← German Longsword Historical Fencing coming to CFA March 8th! Wow, our fencers had a whole pile of awesome results from this past weekends annual VA Hangover Classic! 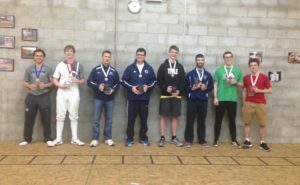 Congrats to all out fencer! You make us proud!